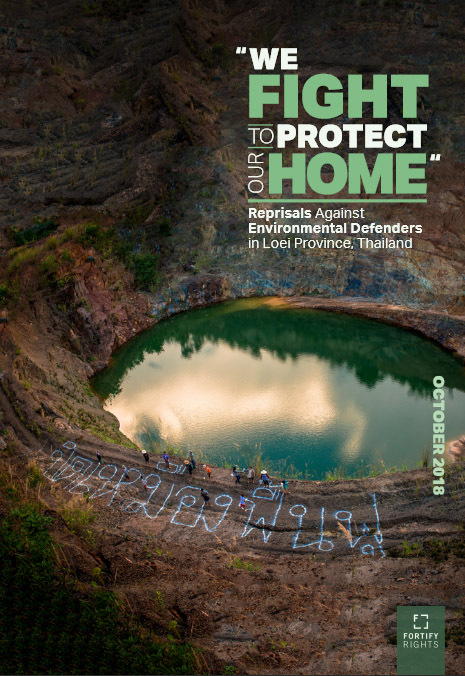 This report reveals that Thai authorities and Tungkum Ltd. committed and contributed to serious human rights violations and abuses against members of KRBKG and environmental defenders in Wang Sa Phung District, Loei Province. Violations and abuses include the arbitrary detention of human rights defenders and violations of the rights to freedom of expression, peaceful assembly, a healthy environment. Thermal papers are widely used to print the sale receipts in various sectors like grocery stores, gas stations and bank ATMs to ensure fast and accurate services. This paper is also used by the ticketing agencies, lottery systems and other businesses, which require accurate and high volume printouts. In this study, twelve unused thermal paper samples from both known and local brands of different manufacturers and suppliers were randomly collected from different markets in New Delhi. 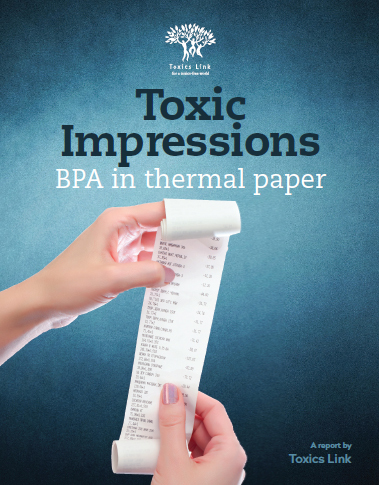 We found BPA in concentration between 300 ppm and 6600 ppm in thermal papers with the average levels of 3037 ppm, which is exceedingly high and can have serious adverse impacts on human health and environment. 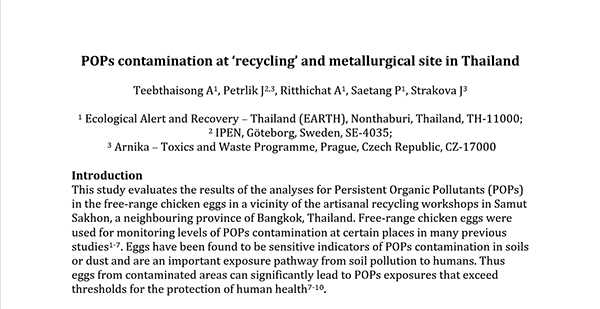 In this study, we present the results of monitoring free-range chicken eggs from selected sites in Thailand which are contaminated by persistent organic pollutants (POPs). 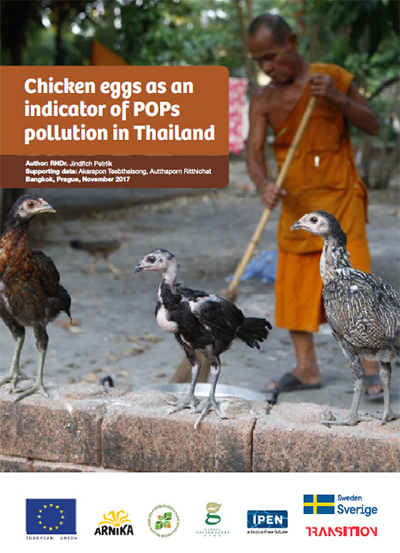 Free-range chicken eggs were used for monitoring levels of contamination by POPs in various locations in many previous studies. 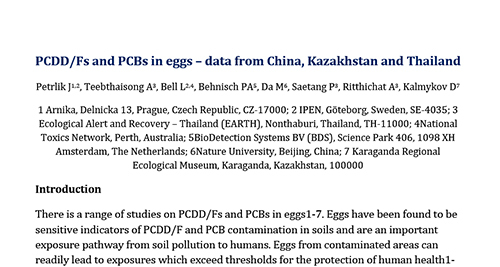 Eggs have been found to be sensitive indicators of POP contamination in soils or dust and are a significant exposure pathway from soil pollution to humans. Persistent organic pollutants (POPs) are toxic chemicals that persist over long periods of time in the environment. 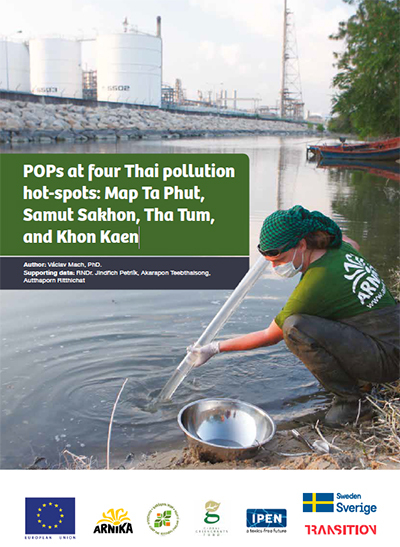 This study is focused on the presentation of data related to contamination by POPs in 4 hotspot areas in Thailand: The Map Ta Phut industrial complex, the Samut Sakhon hotspot area, the Tha Tum industrial complex, and the Pulp and Paper industrial area near Khon Kaen. 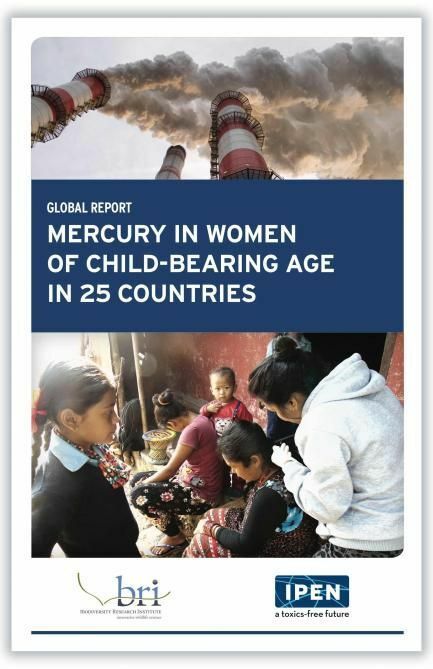 This In-Depth Report from Science for Environment Policy summarises the latest scientific studies and research results on mercury pollution in the global environment. 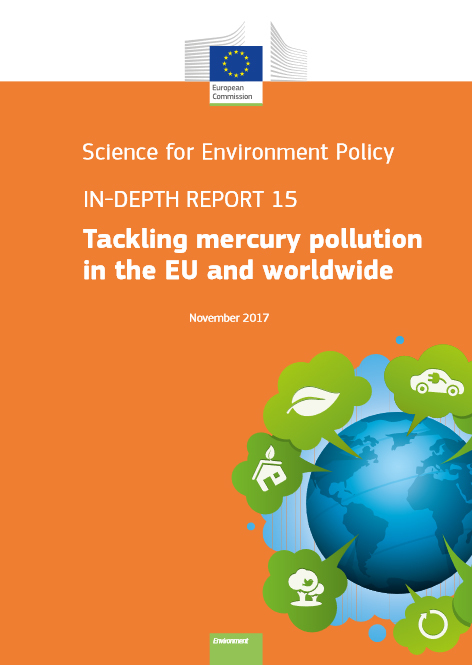 Of the many aspects of mercury pollution, five main topics are addressed: Mercury sources and impacts; Mercury cycling: movement and deposition; Monitoring and modelling approaches; Reduction, treatment and storage; and The Minamata Convention on Mercury and the EU mercury policy. 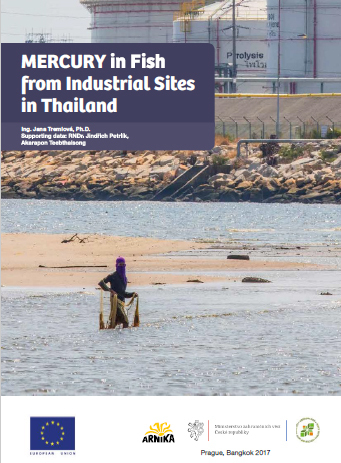 This study is to interpret a data set obtained from an environmental sampling in different parts of Thailand that was carried out in February/March 2016 and February 2017. Samples originated from various sites which some of them served as control areas without any known sources of pollution and some samples originated from highly industrialized areas. 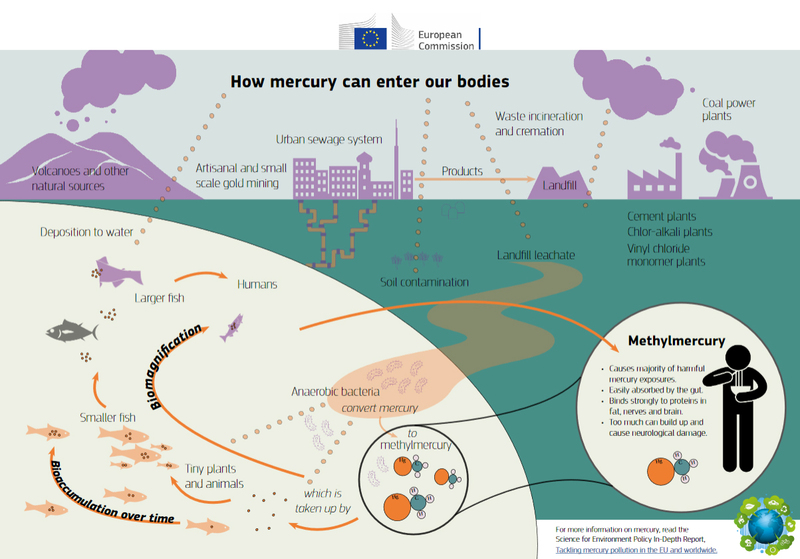 Collected samples of fish and sediments were analyzed for content of mercury and methylmercury, secondary also for the content of some selected risk elements and data were further discussed and compared to national and international legal standards.